The management of modern companies requires full focus on planning activities and reaching expected goals, and in particular on monitoring achievements at the levels of strategy, the business model and management style. Company efficiency and effectiveness, as the key determinants of success, need systemic solutions that will help the company succeed and survive in a specific timeframe. Strategic Performance Management is becoming increasingly popular as a result. It not only monitors specific groups of indicators which is important, but also details a strategic approach to performance evaluation, which forces managers to consider all actions from the point of view of strategy implementation. Company strategy supported by business model attributes should be conducive to the growth of company value, not only in the context of the expectations of shareholders, but also other stakeholder groups. A strategic approach to the management of company high performance integrates company strategy, the business model and management style into a coherent system that is monitored in the context of the impact of this approach on the success of companies in challenging and uncertain business conditions. 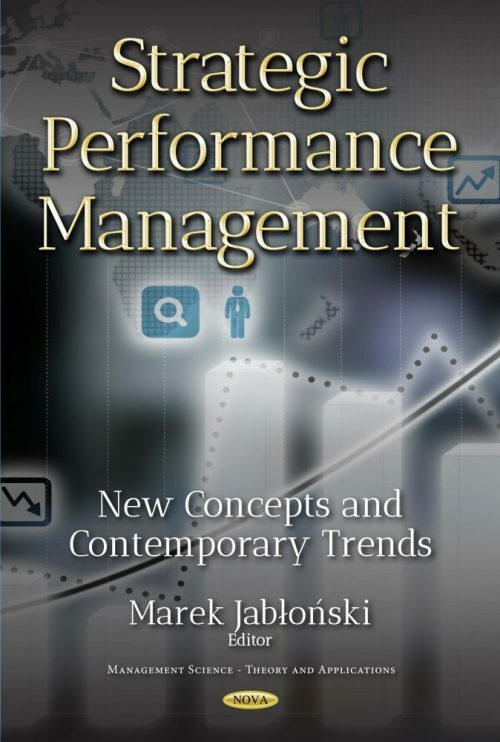 Taking the above conditions into account, a scientific monograph has been prepared, combining the experience of many scientific centers from many countries in the world, dealing with the subject of Strategic Performance Management: New Concepts and Contemporary Trends. The selection of this subject is no coincidence, as nowadays both management theoreticians and practitioners are looking for such systemic solutions in the area of company performance which ensure its survival and expected growth and development in particular. The monograph contains the following chapters, which aim to show the interdisciplinary character and importance of the issue of strategic performance management, compared to new management concepts and many individual approaches to this management problem. The monograph contains 28 chapters which deal with the issue of strategic performance management in various aspects, which proves the interdisciplinary nature of this management concept. The achievement of this monograph is that it shows how widely the issue of strategic performance management can be examined and in what areas it may be relevant. The editor and authors hope that the theoretical and practical aspects presented will be of interest to the readers and will be an inspiration for the development of this subject not only at the scientific level, but also for practical implementation at the company level. The book should help academics develop the issue of strategic performance management; in regards to business consultants, it can be used as a source of inspiration for practical implementations and it shows managers good practices in this area.